If successful, I will propose this program to other local schools. In parallel, I am mentoring the project “Notre Terre, une planète du Système Solaire” education project of the 1st grade (CP) of this school. They are competing for the SF2A “Découvrir l’Univers” Prize (competition website). The themes of this project are: the terrestrial globe, the Earth-Sun couple, the Earth-Moon couple and the tides, the Sun-Earth-Moon system: moon phases and eclipses, the Earth in the Solar System. 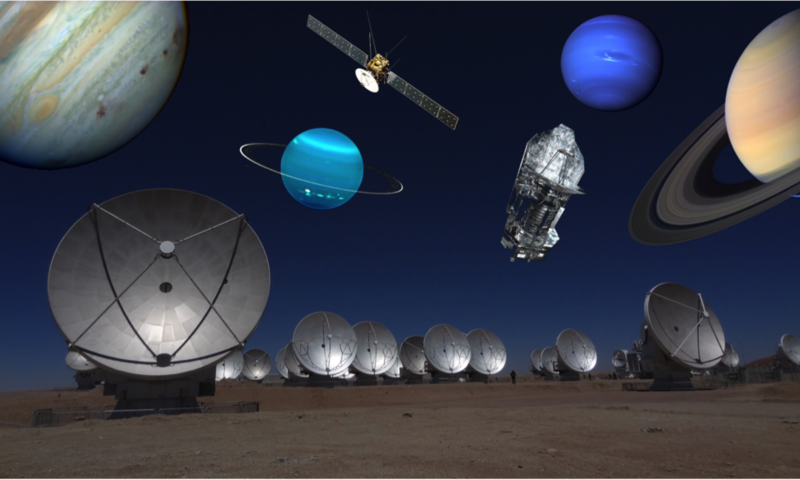 The project consists of a series of experiments, interactive presentations, observations, artistic model of the Solar System, etc. 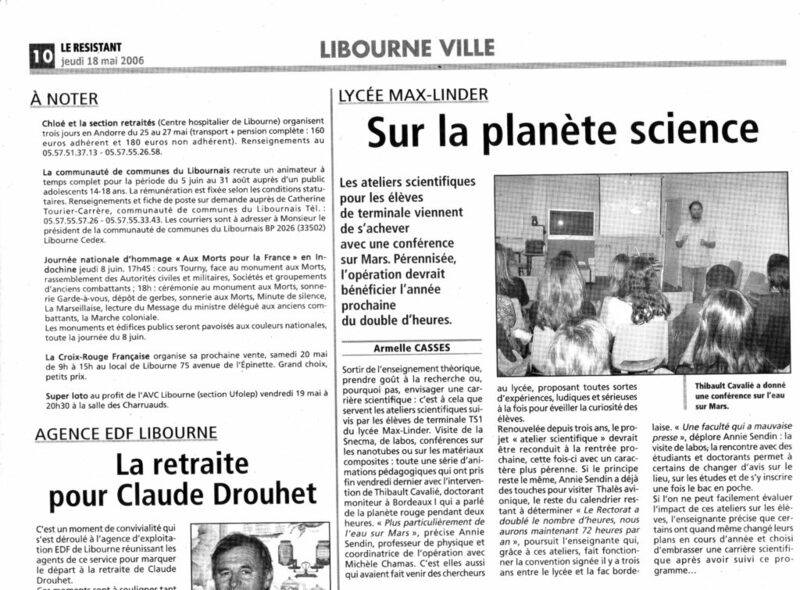 Presentation “La Conquête de Mars” at the Lycée Max-Linder in Libourne in May 2006.